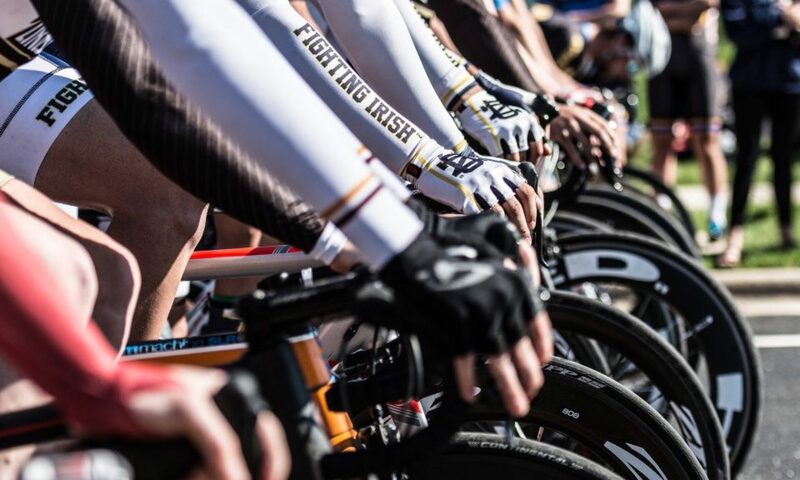 Notre Dame has committed athletes ranging in experience from first time racers to USAC Cat 1’s competing both for the University and also for USA Cycling Domestic Elite Teams. 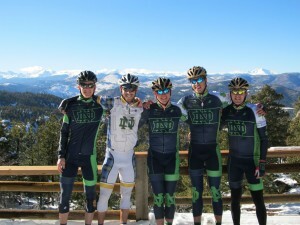 ND is the 6-time defending Midwest Collegiate Cycling Conference DII road team champions and consistently qualifies an entire squad to race at the Collegiate Road National Championships. Collegiate cycling is not regulated by the NCAA so officially, cycling is a Notre Dame club sport. Through generous sponsorship agreements, alumni involvement, fundraising, and university support we are able to finance most seasonal racing expenses including travel, lodging, food, and entry fees for all riders. The team also has access to a University spin room. Experienced team officers take an invested interest in the development of young talent. Structured practices are held throughout the entire school year while conditioning and training programs are available for all athletes. 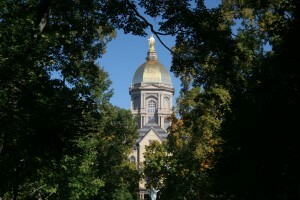 Dedicated riders will find an environment at Notre Dame where they can meet their competitive goals. Because Notre Dame cycling is not a varsity sport, there is no official recruitment process. However, we encourage prospective athletes to contact us with questions. Team officers are available to answer admissions related questions, talk about our own application process, and to give unofficial tours of school facilities. If you need advice while looking at the ND application, please don’t hesitate to ask for our help.